At 03:16.16 CEST this morning, Igor Sim?i?’s 100-foot Maxi Esimit Europa 2 (SLO) crossed the finish line in Sanremo and claimed line honours at the 2012 Giraglia Rolex Cup, making short work of the circa 242-nautical mile course from Saint-Tropez. 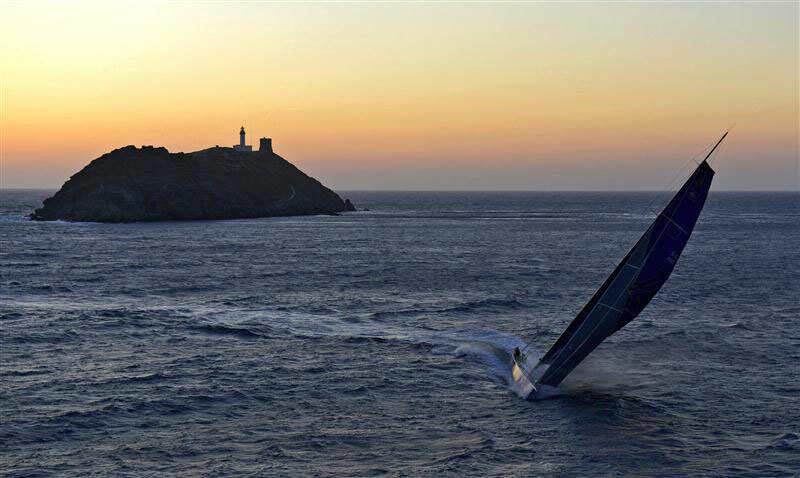 In the process, Esimit Europa 2 smashed the course record, finishing in a time of 14 hours, 56 minutes and 16 seconds. Sim?i?’s pan-European crew shaved just over three hours off the previous race record set by Neville Crichton’s Alfa Romeo 2 (NZL) in 2008. It is Esimit Europa 2’s third straight line honours win at the Giraglia Rolex Cup. “Whenever we have come to do the Giraglia Rolex Cup we have always sought to break the race record,” remarked an elated Sim?i? on arrival. “Just before departure we verified that the race conditions were the same as we had forecast earlier in the week and we knew that there was an opportunity to beat the record. We stuck to our plan.” Once Esimit Europa 2 had rounded the Giraglia rock by 21:05 CEST yesterday evening, it became apparent that a fast time was on the cards. By 10:30 CEST, another three boats had crossed the finish line in Sanremo. Sir Peter Ogden’s 62-foot Mini Maxi Jethou (GBR) was second to finish the race, narrowly followed by the Volvo Open 70 E1 (AUT). Franck Noel’s impressive TP52 Near Miss (SUI) was the fourth finisher and currently leads on handicap. All three crews finished just 30 minutes outside the previous race record – proof of the opportune conditions for the bigger boats. Five yachts have officially retired from the race. The conditions that the remainder of the 170-strong fleet face today on arrival into Sanremo will determine the identity of the race’s overall winner.